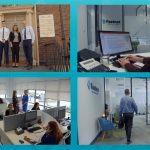 VIDEOZOOM were commissioned to produce a Promo Video to mark the opening of the brand new Franciscan Well brewery in Cork. We look forward to featuring the Promo Video here once it’s publicly launched. Watch this space.. 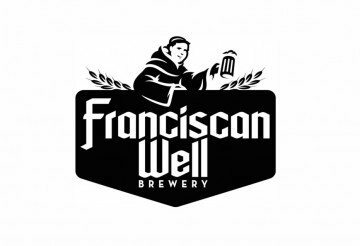 The original Franciscan Well Brewery was founded in 1998 on the North Mall in Cork City and is built on the site of an old Franciscan Monastery and Well, dating back to the year 1219. The Promo Video tells the story of this new brew base, which is expected to have a visitor/tour centre, is in a high-profile quayside setting facing Horgans Quay and Water Street, with scope to directly access Kennedy Quay. The new 50,000 sq ft Franciscan Well brewery is set to open in 2015, and will produce a range of beers for Irish and UK markets, and already has a trail of international awards and gold medals earned from its existing tiny brew houses. The company was acquired by Molson Coors in 2012, and is still headed up by founder Shane Long who’s now spearheading the expansion into the Marina Commercial Park— the old Ford factory, where there’s now 1,500 employed across a range of tenants and businesses. At the time of the Molson Coors’ buy-out, it was reported the new brewery operation could produce 150,000 kegs a year, and double current employment of six to 12-15. The step-up in production comes at a time when the market for craft beer is growing exponentially, up from 1% of beer sales in 2012 to as much as 5% by next year. Franciscan Well beers include Chieftain, Rebel Red and have scooped a number of top international awards, including a Gold at the World Beer awards 2013. Another is a collaboration with Jameson, with pale ale aged in old Jameson whiskey barrels. While the initial idea to expand production was to meet UK and overseas market demand, the Irish craft beer market alone has grown so rapidly that the bulk of production will stay at home, followed by expansion into the UK.